Associate Professor Atsutomo Nakamura and Professor Katsuyuki Matsunaga of Nagoya University and their co-workers have developed a method for fabricating an ordered, electrically conductive nanowire arrays at the sapphire crystal interface. Their paper was published online in ACS Nano on July 5, 2013. Sapphire, a remarkably stable crystal of an oxide of aluminum, is both lucid and a very good insulator. Because of its features, it has been used in industry in many fields, even under unforgiving environments. Prof. Nakamura was challenged to study sapphire's insulating and conducting properties at the atomic level. Sapphire has a highly ordered atomic arrangement, but some turbulent structures that formulate atomic-level openings. His group focused on the structures termed "dislocations" and succeeded in producing thousands of periodic nanowire arrays at the crystal interface by pouring titanium into the dislocations. They also substantiated that these arrays are highly conductive. 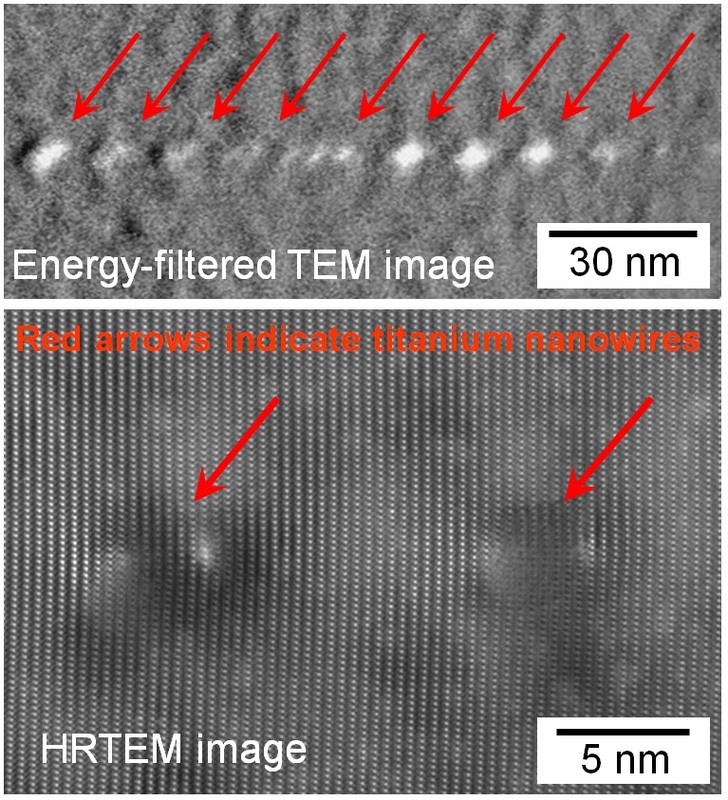 When they analyzed the electronic structure of titanium in the arrays to understand the mechanism of electrical conduction, they discovered that the titanium inside the nanowire is trivalent (Ti3+), which increases the conductivity of arrays. 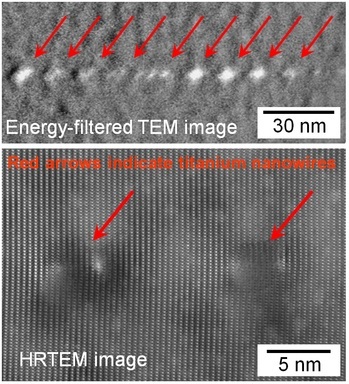 The study, which has received a tremendous amount of attention, has succeeded in producing titanium nanowires within an insulating crystal and has elucidated the mechanism by which these arrays are electrified at the atomic level. The study is widely expected to produce other oxidized compounds with conductive nanowires inside using the proposed method. It is also highly anticipated that the conductive crystals produced by the method will be applied to electrical, magnetic, and optical devices. "What would the word "crystal" inspire you? Though a minority of people could imagine the accurate atom arrangement, the majority would think of a lucid substance such as a berg crystal. I am on the minority side. I am intrigued by highly organized atomic arrays in crystals and infrequent disorders in crystals. This study was conducted using these disorders in the atomic arrangement. It is a challenge to achieve a fundamental change in the properties of materials. It is important to note that the study defied the conventional understanding that insulators cannot be conductive, and indicated a possibility for changing the physical properties of existing substances by controlling atomic arrays." "I will focus on localized disorders in atomic arrays and aim at changing the original physicality of crystals. I am conducting research to transform material properties, and have already changed some crystals other than sapphire, yielding promising results." "You can be a researcher only if you can appreciate the wonders in the world and have ability to get things done. Why not choose a unique life being a researcher?"